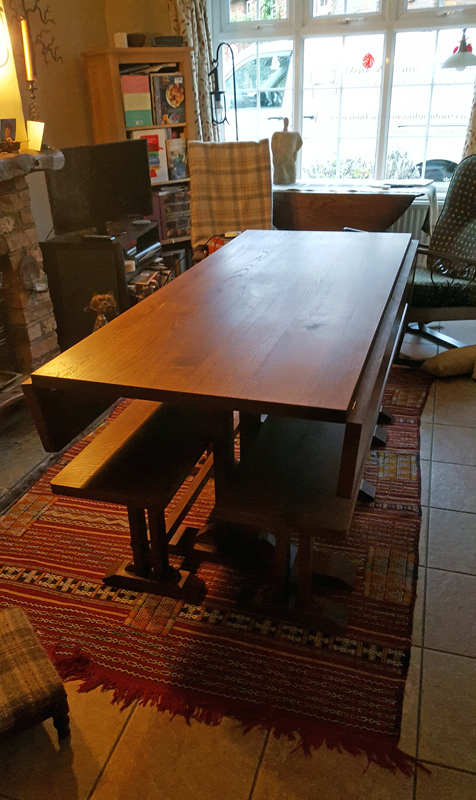 Blog and current projects Folding oak table for eight! Folding oak table for eight! 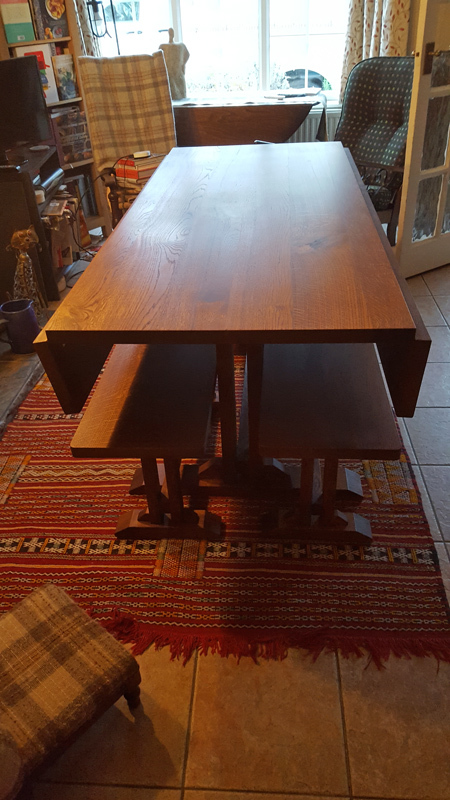 This beautiful and flexible oak table with matching benches was a project that we completed towards the end of last year. 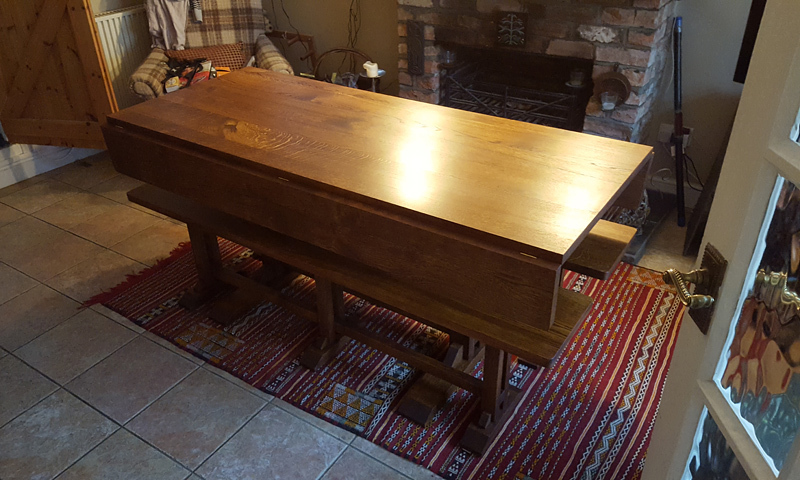 Our client wanted a table made to measure that fitted in her living room in a particular space (her bay window) and that then can be moved out and extended to seat eight people – perfect for dinner parties. The benches also store out of way under the table when in the bay window. Our client lives in a cosy cottage so does not have the space for a permanent dining area. We made this table from solid european oak and then stained and oiled it for an attractive and durable finish. It has a very traditional and robust construction which means it will give years of service and pleasure to its new owner. Our client was so pleased that she was kind enough to leave us a glowing testimonial on our page ‘what our clients’ say’, and you can read that, and others, here. Do you want similar bespoke furniture of any kind designing and making for your home? Do contact us at Mark Williamson Furniture if you are considering having any kind of bespoke furniture designed and built for your home. We specialise in bespoke kitchens, and can design and make any style of kitchen that can be imagined. Telephone: Office: 01296 658 660 | Mobile: 0775 4409203, or please feel free to email us via the contact page here.